Good news. For the research project 'Moralising Misfortune: A Comparative Anthropology of Commercial Insurance to examine the morality of life insurance', I am granted one of the Consolidator Grants from the European Research Council. This is a five year grant that supports researchers with their own independent research team or programme. What moral concerns do people have when they encounter the financial sector in their everyday life? From September 2016, this question will be studied in five countries: Brazil, France, India, The Netherlands, and the USA. The project explicitly deals with highly personal and intimate encounters with financial globalisation. The global financial crisis of 2007 intensified debates on financialisation. The insurance market was heavily criticised in the wake of the crisis, which was caused in part by trading risky insurance products and their derivatives. Many people worry that everyday life is increasingly governed by the financial sector, with the result that the financial sector ends up eroding morality, or at least determining what is good or bad behaviour. Some view life insurance and the financial sector as a whole as a threat to solidarity; they fear the erosion of values associated with mutual help and reciprocity. This new ERC project examines commercial life insurance within the context of broader transactional systems. It examines commercial insurance as a form of solidarity that is connected with other solidarities, for example among family members or within voluntary associations that play a role after someone’s death. How do people experience solidarity? The death of a loved one is a very intimate and personal event, yet, simultaneously, it involves people in the financial world with its specific entitlements. To what extent does the cause of someone’s death matter for the organisation of care and financial support? Who is to blame, if anyone? These studies will offer insights into when and why misfortune is regarded from the perspective of agency (e.g., personal choice or possibly genetics), seen as an outcome of specific structures (e.g. neoliberalism and poverty), or viewed as outside social worlds (e.g. bad luck or change). What are the moral and financial dynamics of these explanations? Defining the risks that life insurance policies cover, developing new policies, and defining new markets – this process all revolves around classifications. Such classifications are shaped by statistical techniques that are mastered by actuaries. If insurance companies could not statistically classify the risks to which potential clients are exposed, or the aggregated risks of particular events happening, they would simply be unable to set up an insurance scheme. What are the moral dimensions of the classifications that underlie such calculations, and what do they end up meaning for the people that purchase insurance products? To show how classifications can be technical and moral at the same time, let me give you an example from my research in South Africa. A man crossed the street in his neighbourhood in Cape Town at night, was hit by a car and died. 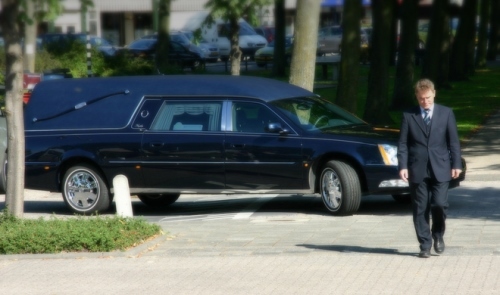 The bereaved relatives submitted a claim to the insurance company, but it was rejected. The policy had an exclusion clause that stipulated that the policy holder was not entitled to money if the person whose life was insured took an unnecessary or aggravated risk. The insurance company wrote to the claimants that crossing a street in the middle of the night, where there was no pedestrian crossing and the lighting was probably poor, was too risky. The underlying assumption seemed to be that taking unnecessary risks should be avoided and would, therefore, not be compensated financially. Such exclusion clauses make sense from a certain point of view and might be regarded as moralto some extent. Financial products should not become an incentive for careless or risky behaviour. But exclusion clauses are also problematic; in this case, for the bereaved relatives who felt they were being mistreated by the insurance company. They live in a township in one of the most violent cities in the world. The streets are often badly lit, pedestrian crossings are hard to find, and everyday experiences of poverty, economic inequality and racism give a whole new meaning to what constitutes unnecessary risk. This research project will examine how moral discourses such as these are part of everyday engagements with the financial sector. Insurance companies do not necessarily have a direct relationship with their clients. Rather they rely on a wide range of intermediaries such as independent sales agents, credit companies, undertakers, taxi companies, coffin makers, and voluntary associations. How are these relationships evaluated by professionals and clients? What are the moral discourses regarding these dependencies, and how do such firms and voluntary associations (which are often very small-scale) change when they start cooperating with insurance companies? Ethnography and the extended case study are key methods in this project. These methods make it possible to examine how a wide range of sometimes contradictory moralities are part of everyday life. This approach makes it possible to carefully analyse salient events and situations, such as a specific funeral or a specific case involving an insurance product. The aim is to understand how and why people who are involved in the same event can have very different readings of what happened. It is important to go beyond the idea that the economy is shaped by individuals trying to maximise profit and happiness. Instead, we need to understand how that shaping process is also influenced by power relations and socially situated moralities. A PhD candidate at BIGSAS;Bayreuth. My home is my (Airbnb) castle? Economy as pseudo-nature: what’s the problem?